The late Cindy Edelstein began her career as an an editor at JCK Magazine. It was her years as Fashion Editor that gave her the opportunity to fall in love with jewelry designers. She founded Jeweler's Resource Bureau in 1991 with one goal and one goal only -- to support the growth of designer fine jewelry as a retail category, an artform and a community. 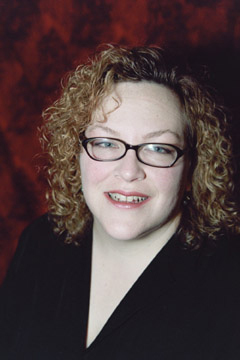 In 1995 Cindy Edelstein, president, was awarded the prestigious Benne Award by the American Jewelry Design Council, and was the 1996 winner of the Contemporary Design Group's award as Best Designer Advocate. In 1990, she received the Women's Jewelry Association's Award for Editorial Excellence. And in 2001 She was recognized again by the group for her Excellence in Marketing. She has traveled to several countries to present speeches, workshops and private consultations to industry groups and individual artisans to enlighten them about the American designer business. Her byline was seen in many trade and consumer magazines. In 2000 the Jeweler's Resource launched the first trade show for international studio jewelers called globalDESIGN. This event presents an elite collection of the world's finest artisans to the American craft gallery audience. Jeweler's resource also produces Designer DAY: The Business Conference for Jewelry Designers in conjunction with MJSA. Our bestselling guidbooks, the Designer's Annual Planning Guide, SOURCEBOOK for DESIGNERS and ARTISANS, are now available online to subscribers of the JRB Inner Circle, the industry's first subscription website that addresses the myriad of concerns facing professional jewelry designer entrepreneurs. Cindy passed away in February of 2016. The cause was cardiac arrest.